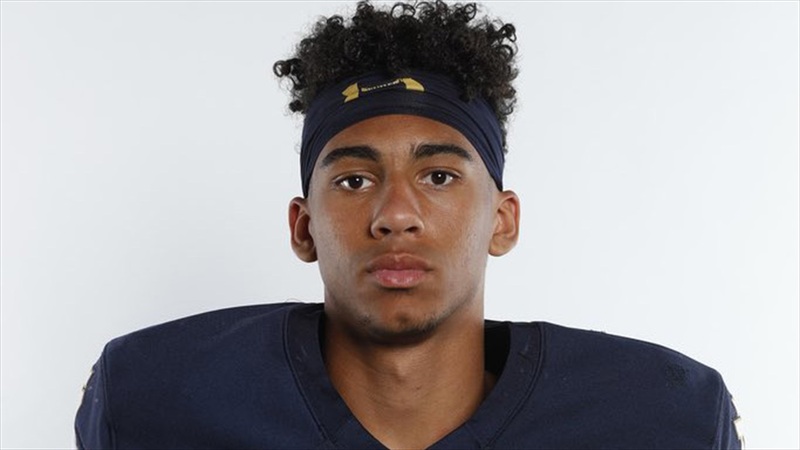 Jalen McMillan‍ had the chance to see Notre Dame for the first time on a multi-day trip to South Bend this past weekend and it’s safe to say the 2020 California wide receiver was impressed. The opportunities the school provides beyond college really stuck out to the 6-foot-2, 175-pound junior. The San Joaquin Memorial High School star also learned more about how he could fit in at Notre Dame on the field. “That I could play early because everybody gets a chance to play early, but you’ve got to be able to put the work in,” he added. “That was good to find out. Their offense is a great fit for me, they throw the ball a lot. They distribute the ball to their playmakers too, so it’s good. “I’m confident that I could showcase my talents there,” he said. Irish wide receivers coach Del Alexander continues to make a huge impact on the recruitment. McMillan also had the chance to hang out with the current players on the roster. Notre Dame didn’t seem to leave anything out. “I got a little sense of everything,” said McMillan. “I saw about everything over there. McMillan expects to visit Oregon next and would also like to make stops at Washington, Alabama and Florida. “I’ll probably drop a top five in like a week or week and a half,” he said. There’s a good chance the Irish will be included. “Notre Dame made a big mark on me,” he said. McMillan said he will “definitely” be back for an official, possibly for the Irish’s game against USC in October. He plans to announce his decision a couple months later.